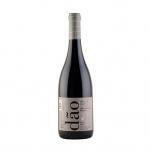 Quinta Da Pellada is the maker of this Dão Álvaro de Castro , a red wine from the region of Dao with tinta roriz, touriga nacional and jaén grapes. According to Uvinum users, this red wine earns 5 out of 5 points. What's the evaluation of the Dão Álvaro de Castro?